MicroPython on bare metal Raspberry Pi Zero / Zero W @boochowp #piday @Raspberry_Pi « Adafruit Industries – Makers, hackers, artists, designers and engineers! Interesting news from GitHub user boochow (Twitter @boochowp). He’s working on alot of interesting things including a bare metal implementation of MicroPython for Raspberry Pi Zero and Zero W! 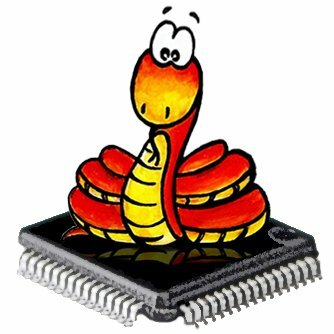 There is a quick reference to what is supported hardware & software for the MicroPython port. It’s exciting to take small microcontroller boards like Raspberry Pi Zero, pyboard, or Adafruit’s M0 and M4 based boards – add MicroPython or CircuitPython, and code away. See boochow’s GitHub for the RasPi project and his blog for other interesting work.